Alright, time for knitting! But first, some information. 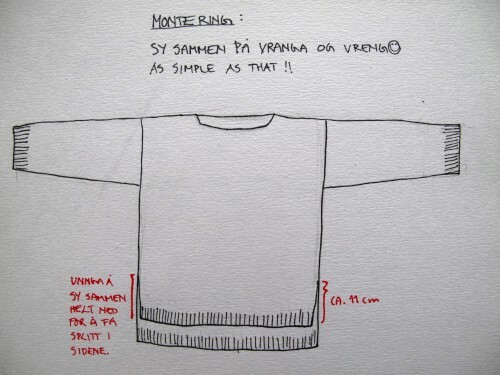 As requested, here in this post is the translated version of the "Skappel Sweater" (Skappelgenseren). This recipe is not made by me, only translated by me. 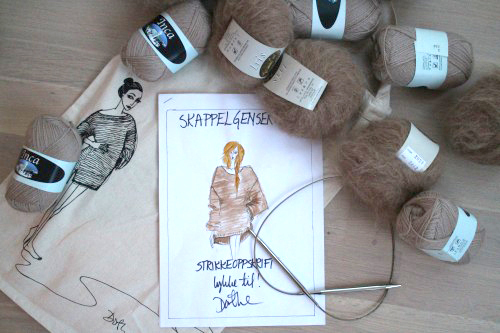 The Skappel Sweater carries the name of it's maker - Dorthe Skappel - a Norwegian TV celebrity. She knitted the very first one for her youngest daughter Marthe, who of course loved it. 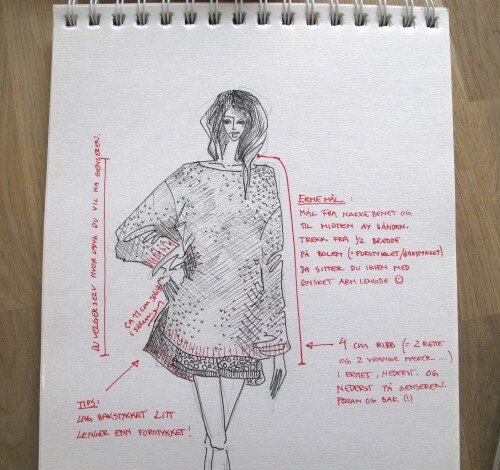 Then when Marthe was to mention her favorite garments in the magazine Costume, the sweater was of course one of her top pics and ended up in print. They have several lovely recipes on their webpage here, but most of them are for sale and I'm sure should not be redistributed by any one but themselves. This recipe is at the moment available for free all over the internet in Norwegian. 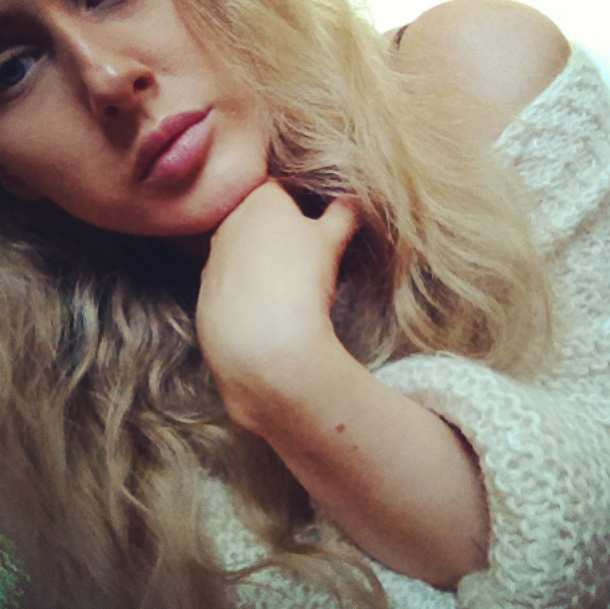 Maria Skappel, Dorthe Skappels daughter, has it online for free in Norwegian on her blog here. 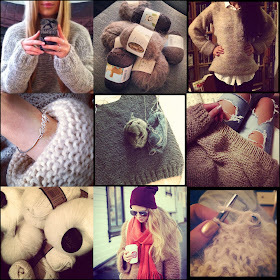 Since the sweater was a huge craze over here in Norway this summer - understandable as it's lovely and very easy to knit - all the alpaca yarn sold out all over the country. Of course knitted it myself as well, and I really love it. The sweater itself is nothing unique, a very common cut, so very very easy to do. It's great for everyone, which is why it's so awesome! It's also a really good project for beginners! A lot of Norwegians learned how to knit last summer following this recipe. Her are some photos showing the knitting craze. You can find tons of pictures of #skappelgenseren on Instagram. Ok, so here it is! :) Enjoy! 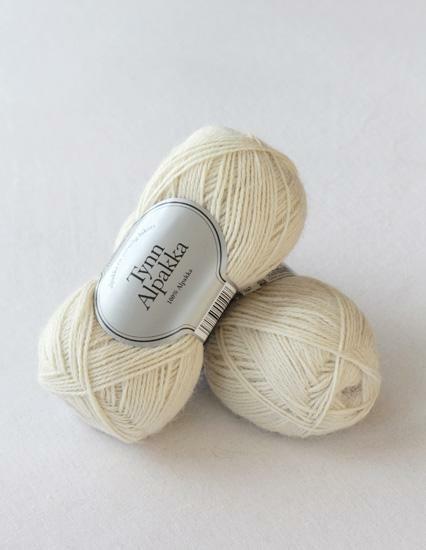 Knit with double thread – one of each type of yarn. 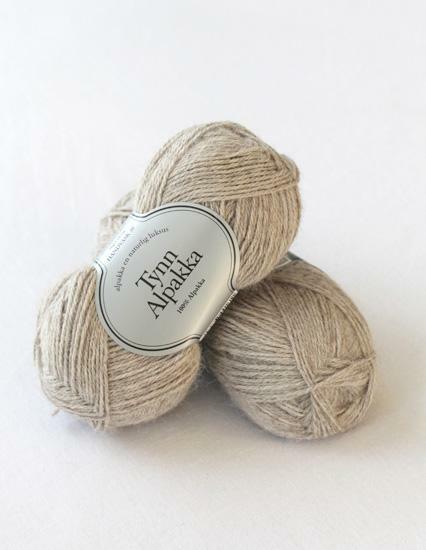 You need to go check with your local store to see what options they have available of Alpaca yarn. Bring pictures of the yarn shown in this recipe. 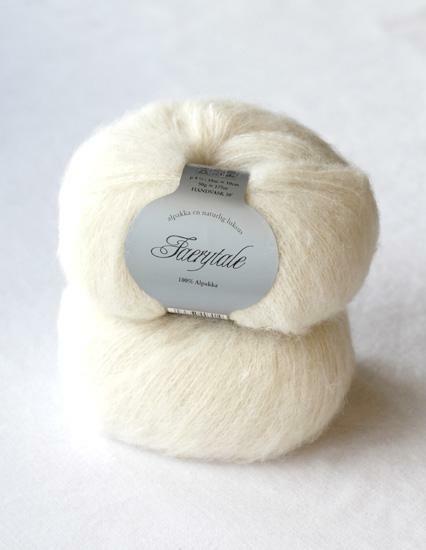 You don’t have to choose to have the exact same color in the two different types of yarn – that is all up to taste. For knitting needles you need two circular ones; One small in diameter for the sleeves and one large for front and the back piece. Pick the correct size for your region as shown below. US sizes seems to not have the equivalent of the metric size 7. The closest seems to be 10/2 or 15. You’ll use this size for the entire sweater. 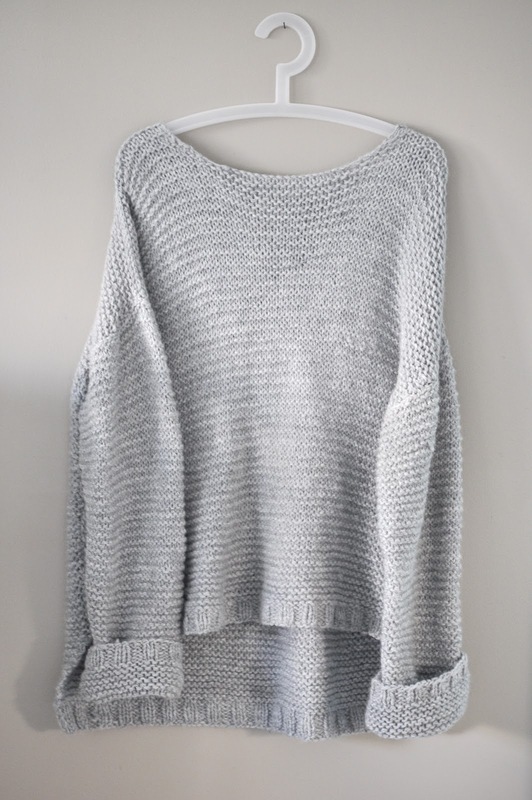 This sweater is knitted in several large squares that are sown together at the end. The entire sweater, except from the border where you use ribbing, is knitted in garter stich. 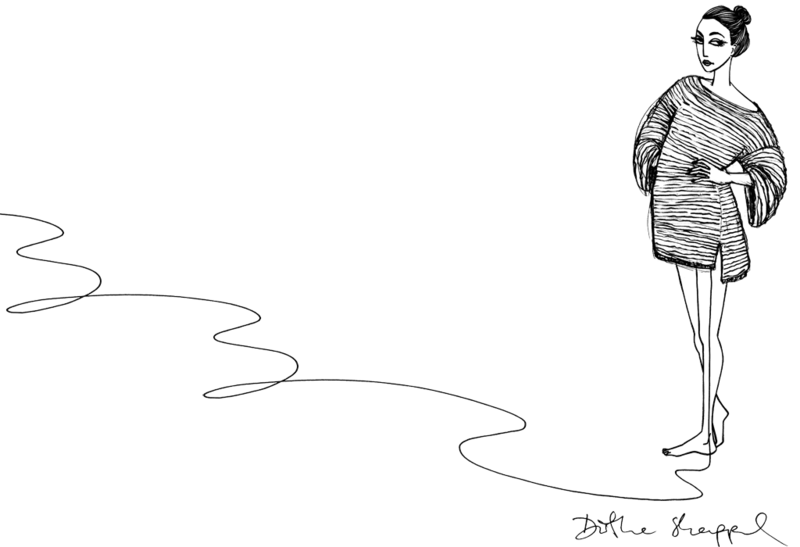 Even though you use circular needles for the knitting, you still only knit back and forth, you don’t around. This makes it really simple and quick to finish. The size is one size fits all, and the size is large and comfy! As you knit, hold it up in front of you, look in the mirror, and measure! Remember when you bind off, do it as loose as possible. A neat little thing is to make the back piece longer than the front piece, as well as also leaving a little split in the sides. Personally I found it too big, so I undid the whole back and front pieces and reduced the number of stiches per piece to 60. I kept the arms as they were. Worked like a charm. Cast on 80 stiches on the large circular needle. Knit 4 cm of ribbing. After this, proceed with garter stitch until you reach the desired length. You now have your first square. Proceed in the exact same fashion as with the back, but when you are 7 cm from the desired length, bind off the 16 center stitches. This is the neck lining. 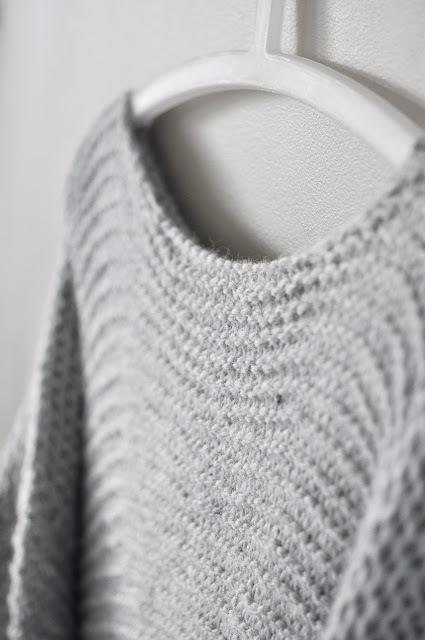 You will continue to knit on one side of the neck lining, so the opposite side needs to be put on a tied off thread or a separate knitting needle while it’s on hold and you’re knitting the other side. Continue to knit back and forth on one of the sides while you decrease one stich closest to the neck lining every row for four rounds. This is how you create the rounded off side of the neck lining. After this you should have 28 stitches left on your needle on the one side of the neck. Knit onwards until you’ve reached the desired length, about 7 cm, and bind off. Repeat on the other side of the neck. Start by ribbing for 4 cm. Then you continue onwards with garter stitch until you’ve completed 15 rounds (30 rows). Knit 4 rounds (8 rows). Repeat this process until you reach 52 stitches. Knit until desired length, and bind off. All the pieces are complete! Now you just need to sow them together. 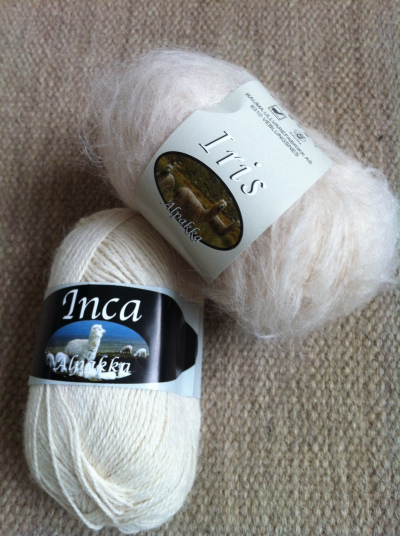 Use the thin alpaca, not the fluffy one, for sowing the sweater together. You’ve gotten a new amazingly fluffy and comfy sweater! - And best of all: you made it yourself!! 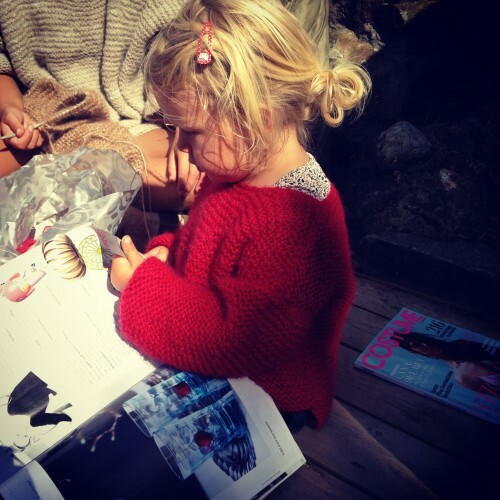 A big Thank You to the Skappel family for spreading the joy of knitting to the younger generations here in Norway! 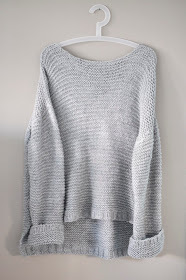 Here are some lovely shots of the finished sweater done in grey that I found online. Yup, just as comfy as it looks - trust me. Ok, that's it for me then, time to wrap it up here. I hope you like the recipe! Go get your gear and get started! I love it :) I think they did a really great job. Thank you so very much, I truly love this sweater and appreciate your generosity. Aw, that's nice of you. :) You're welcome! Enjoy! How can I buy this sweater???!!! So far the only place I've seen it for sale is on a Norwegian site called Finn.no. Just wanted to mention that you have the US sizes listed kind of weird - "10/2 or 15" - I think you mean 10 1/2 (which is 6.5mm), but 15 is a whopping 10mm. So I would suggest for US sizes either 10 1/2 or 11 (US size 11 is 8mm). I know our needle size numbering system is weird, so I hope this helps! Glad to help :) And thank you for the clarification! I was reading off a table and scratching my head a bit to be honest. Just saw the Skappel sweater in the Norsk Folkemuseum in Oslo along with a whole lot of other fabulous items including the sweaters of Unn Søiland, the woman behind the first Norwegian knitting craze back in the 50s and 60s. Thanks for making this available. When I finish my Valdnes pattern mittens, I will be looking for my next Norwegian inspired project. That's so much fun! 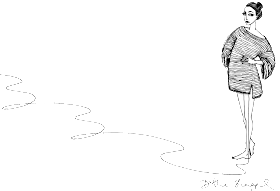 I have some links for norwegian recipes if you're interested, but they are unfortunately all in norwegian though. They are online, so maybe Google translate will do a good enough job? Good luck with your mittens Alexandra! Hva heter fargen på det grå garnet? Utrolig fin grå-farge!